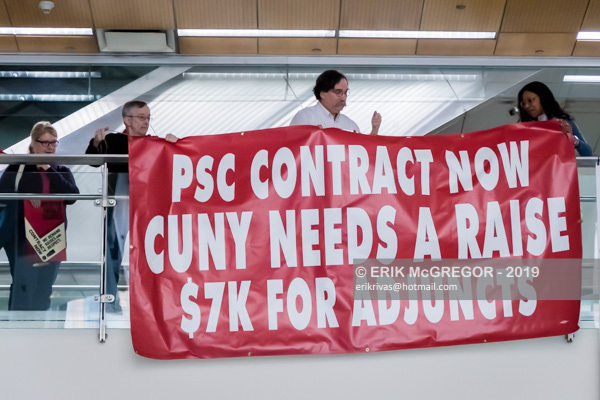 New York, NY – CUNY staff at Baruch College campus gathered on April 11, 2019 at the second-floor landing of the Vertical Campus for a 30 minute rally to express strength as a union and demand a prompt resolution to negotiations. Participants unfurled 15 feet banners from the upper floors. 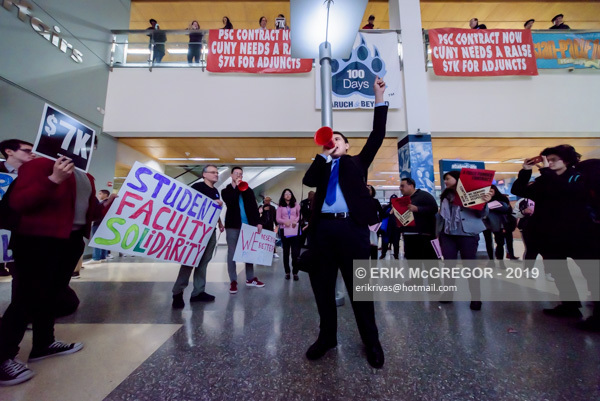 In the midst of our contract campaign, we at Baruch feel compelled to make some noise and demonstrate our resolve for a fair and timely resolution to negotiations. 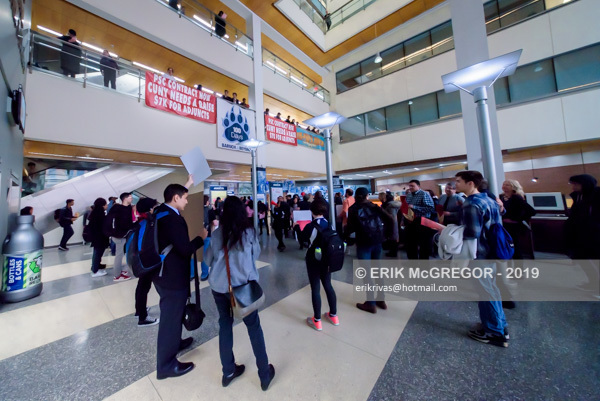 CUNY’s one economic offer so far has been woefully inadequate. 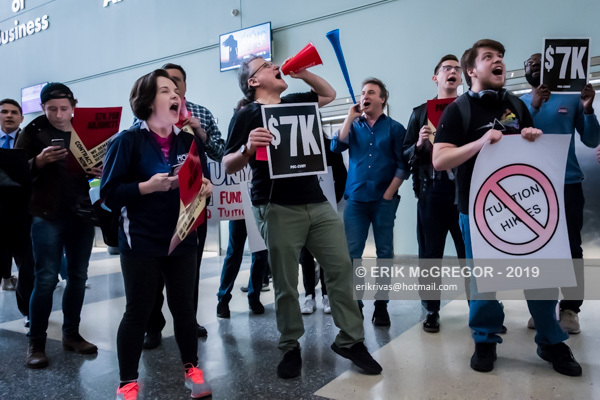 Let us show our solidarity -full-timers, part-timers, adjuncts, HEOs, and CLTs- and turn out this Thursday, April 11, at 12:30 sharp, on the second-floor landing of the Vertical Campus to express strength as a union and as a chapter. Please come with your department colleagues. Our rally will last just 30 minutes. Let’s make our voices heard! Please let me know by email if I can count on your presence.